Why did you start Zapproved? Having worked in software for 15 years at the time, I was excited about what was happening in software related to the cloud and subscription models. Opportunities are created at inflection points, and this was clearly one of those moments. I had an idea for a system for tracking approval workflows which I saw as being powerful so off I went. What were some of the major obstacles you faced in those early days and how did you overcome them? Getting started at anything is a major obstacle, and even moreso when starting a company. You have to just be willing to be vulnerable and just put out something that isn’t perfect and get feedback – iterating fast is the key. Another obstacle was that we launched our product in August 2008. The very next month Lehman Bros. failed which precipitated the Great Recession. It forced us to be clever and lean, as well as pivot into the legal software market. Those lessons were tough but helped us grow Zapproved in a way that made us look after the bottom line. When did you get involved in TiE Oregon and how did you find out about TiE? My friend Anu Khaira was the founding executive director of TiE and she introduced me to the organization and many of the founding charter members including you. It was serendipitous because we were just getting going and this group formed that was looking to put their energy into growing startups. TiE was a big source of support for us, especially in those early days. When you started TiE was very nascent, how did you TiE help you? It really was networking with the early charter members. The quality that made TiE different is that it was all truly experienced founder/CEOs. Getting to talk with Charter Member Angels Steve, Nitin, Kanth, and Raj Kulkarni was very inspirational and confidence building. Did you have mentors and advisors helping you? We had lots of mentors. Allen Alley, Randy Steck, Steve Wynne, TiE Charter Members : Steve Sharp,Taizoon Doctor, Nitin Rai, Kanth Gopalpur and Raj Kulkarni were all incredibly helpful along the way. Some served on my board while others shared their expertise to help overcome various challenges — such as setting up a sales organization — along the way. How many rounds of early stage funding did you have and from what sources? We had two early rounds. The Series A angel round was led by Steve Sharp (he was then a TiE Charter Member) and a variety of local angels including Taizon Doctor (another TiE Charter Member). Series B angel round had many more TiE Charter Members and “friends of Series A” investors. What was your experience with VCs and Angel funds? I didn’t have much success so we were scrappy and got Zapproved to cash flow profitability with just individual angel money as well as individual angel from groups like TiE. I think it was hard for larger angel funds to believe in us. Did you ever want to quit when times became tough? There were many times I questioned whether or not we could succeed but knowing how many people were counting on us always kept us going. Can you talk about your two exits (Private Equity investments). Why did you go with Private Equity and not Venture Capital Firms? My investment partners have been great fits for us at different stages of growth. Their expectations about risk and growth have been very well aligned to mine. For me once we built something that customers were happy with and employees enjoyed working on it was important that we didn’t risk the company to get the very best returns for investors. My investment partners made it possible for us to optimize for all our constituents (employees, customers, investors and community). Your recent merger provided some very handsome returns to your angel investors and employees – could you summarize what you accomplished? We feel very proud that our early investors were able to get a great return. I think it is an example of the power of angel investments to get unmatched returns. We are also excited for customers and employees that this next chapter has all the right people around the table – including our investors and board. This is especially great for the city of Portland since we don’t have a lot of resident executives that have been through this kind of growth before. The training our team will get from Vista will leave our city with so much more expertise to build more great companies in our great state! If you had to do it again what would you do differently? I don’t believe in thinking like that. Everything we did was the best we knew at the time. Of course with 20/20 hindsight I would definitely make different decisions but there really is no way to know what the right decisions are without the journey. The only thing I would say is that I would be very careful with hiring decisions – especially to key positions. You can’t underestimate the damage one bad hire can do. Where do you see Monica Enand in 2020? Right where I am now: Building a great company in Portland that is leading the market in serving the in-house eDiscovery community. The above interview was conducted in June 2017, when Zapproved announced its full acquisition by Vista Equity. Its just serendipity that this blog post waited till now to be published. I guess it was meant to wait for the right time. Monica and I were connected sometime in the summer of 2008 when TiE Oregon was a very nascent organization. She called me out of the blue and asked if I could become a customer of her product, then an approval management system that I fell in love with, became a paid user, and made all my First Insight employees use Zapproved to get approvals. In return she offered me a possible interview with Wall Street Journal (which unfortunately didn’t happen). Notwithstanding, I became a fan, a mentor, an adviser and her advocate. 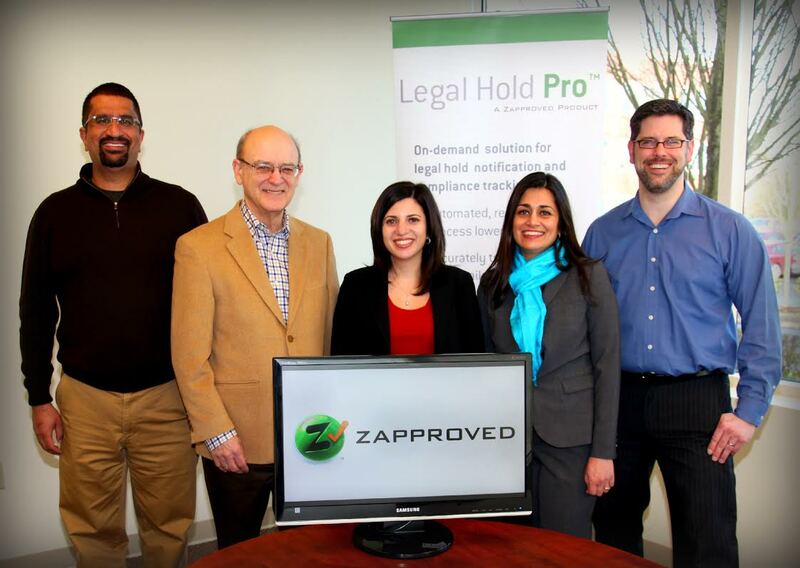 We used the product till Zapproved finally phased out the approval product to focus on the Legal Hold Pro. We also frequently met regularly for mentoring sessions but Monica was not to expand her group of advisers even in those early days. When the markets collapsed later in the fall of 2008, she called me again for help. She needed to raise capital from individuals as her efforts to raise capital from VCs and Angel Funds had failed. I connected her to TiE Charter Members, Steve Sharp and Taizon Doctor. Little did I know she took their help to lead her first round of funding. She was laying the groundwork for the formation of TiE Oregon Angels by making us put our money where our mouth was. Advice is cheap and money talks! With here sheer persistence she made us walk the talk. Zapproved became our first investment. It inspired me to eventually launch TiE Oregon Angels. Monica was never shy to ask help or advice. She called me when was looking for a cheap trade show booth. I immediately offered First Insight’s first old unused booth as a gift. She immediately accepted. She called to see if I could fit her team in my office (I had to decline as we had no space). She called for more introductions to TiE Investors which I gladly did and invested myself. I viewed her ability to ask for help as one of her key strengths, a skill all aspiring entrepreneurs must develop or possess. She developed a great handle on her business and put together one the best teams at a very early stage in the company. In all these years Monica was transparent and had open line of communications with all her investors. As her business grew and matured, some of us became less involved, but her door was always open and she never failed to send an investor update. We all had faith that she was going to make it. As a result not only did she surprised us with one liquidity event, she hit the nail on the head twice, providing us returns that are unprecedented. She succeeded when the odds were against her, due to the massive economic downtown. Monica is a shining beacon of hope for all entrepreneurs. She proved that in adversity there is opportunity and when you discover an opportunity you take the ball and run with it, with your nose to the ground and the eye on the ball. You hit every shot, with persistence, dedication and great teamwork. You execute always and learn from your mistakes and stay focused. All these are great qualities that Monica posses. She not only built a successful company, during that journey she herself became a Charter Member, Mentor and Angel Investor at TiE Oregon. Some of her own successful investments include Globe Sherpa (Moovel) and Appthwak (Amazon). She completed the virtuous cyle of giving at TIE. I will always be a big fan and advocate of Monica Enand. She makes us all proud. Monica will be recgnized with the Entrepreneur of the Year award tomorrow Dec 7th at the TiE Oregon 10th anniversary Gala. Its befitting that she received this well deserved recognition as TiE completes 10 years. The future will always be bright for Monica.